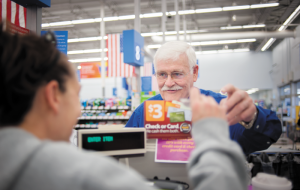 At Walmart, we believe we are best equipped to help our associates, customers and the communities we serve live better when we really know them. That means understanding, respecting and valuing diversity – unique styles, experiences, identities, ideas and opinions – while being inclusive of all people. A truly inclusive workplace culture is one where every associate feels empowered to bring their authentic self to work every day. These engaged associates are happier, and they perform at their best. As a result, they provide better service to our customers and members by creating a clean, fast and friendly shopping experience. When we get it right, the customers come back. That’s inclusion. Our U.S. workforce of more than 1.5 million associates consists of 22 percent African American associates, 14 percent Hispanic or Latino American associates, 4 percent Asian American associates, 1 percent Native Hawaiian or Pacific Islander and 1 percent American Indian or Alaskan Native. 55 percent of all associates are women, which includes 43% of our managers and 31 percent of our officers. Our 2.3 million associates around the world reflect our diverse customer base, which makes us a better company. Our $2.7 billion investment across two years in our people – in education and training, wages and scheduling – will ensure even more of our associates have clear pathways to grow and advance. We want our associates to grow and seize the opportunity to take on more responsibility. A diverse leadership team, as well as a diverse board, is a priority for us, and the best place to find strong leaders for our management team is from within our company. Our culture is our values in action – it’s how we live out Service to the Customer, Respect for the Individual, Strive for Excellence and Act with Integrity through our everyday behaviors. If we do that effectively, then we’ll have an inclusive culture. 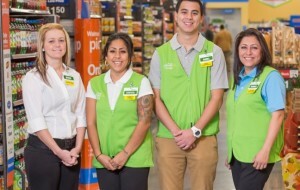 Walmart's commitment to diversity and inclusion extends beyond the borders of our company and out into the communities where our associates live and work. We develop productive relationships with organizations that reflect the diversity of American society, so we can collaborate on issues that are important to our customers and neighbors. Thanks to the ideas and insights our partners share, we can continue to identify the challenges in each community where we operate and ensure that we’re an active part of the solution.